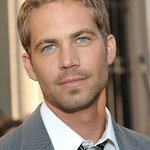 Universal Pictures today announced that a percentage of proceeds from the upcoming home entertainment release of Fast & Furious 6 will be donated to Paul Walker's non-profit Reach Out WorldWide, a network of professionals with first responder skill-sets who augment local expertise when natural disasters strike in order to accelerate relief efforts. Walker founded the organization after witnessing deficiencies in local activations following the January 2010 Haiti earthquake, and he remained passionately devoted to the charity. Paul Walker’s family has requested that in lieu of flowers or other gifts, donations be made to support Paul’s charity. To learn more about the efforts of Reach Out WorldWide or make a direct donation, please visit www.roww.org.